Harry Houdini is widely considered to be one of the world's all-time greatest magicians and escape artists. He is also given credit as magic's first notable celebrity and helped bring the once considered black art, into the mainstream. As a result, Harry Houdini collectibles and autographs are highly desired. 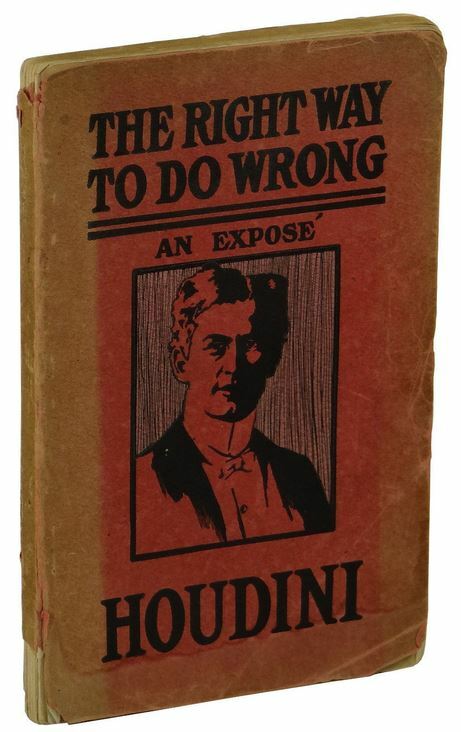 Houdini specialized in life-threatening illusions and escape acts. As his reputation grew, so did the crowds wanting to see if he could actually survive his latest stunt. His fame even brought him Hollywood opportunities, appearing in several films. From a collectibles standpoint, this creates a crossover category of memorabilia as it relates to his movies. With his wide-ranging fame and popularity, Harry Houdini collectibles include everything from cut autographs to posters to books to personal items. 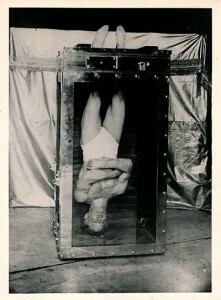 Anything used in a specific stunt or illusion by the great escape artist can carry a significant premium. Autographed items are plentiful on the secondary market. However, as is the case with all autographs, authenticity corresponds directly to value. 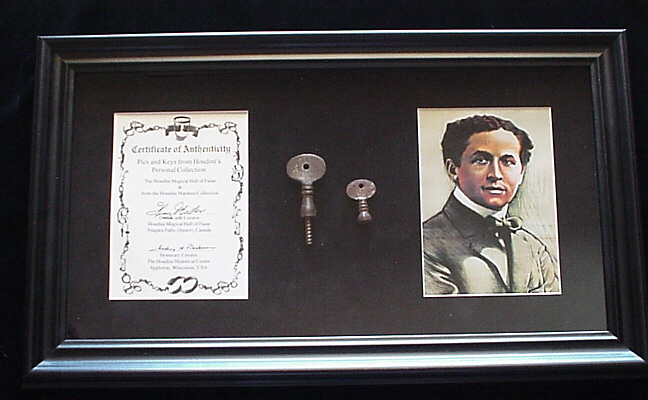 Click on the links to shop for specific Harry Houdini collectibles on eBay. 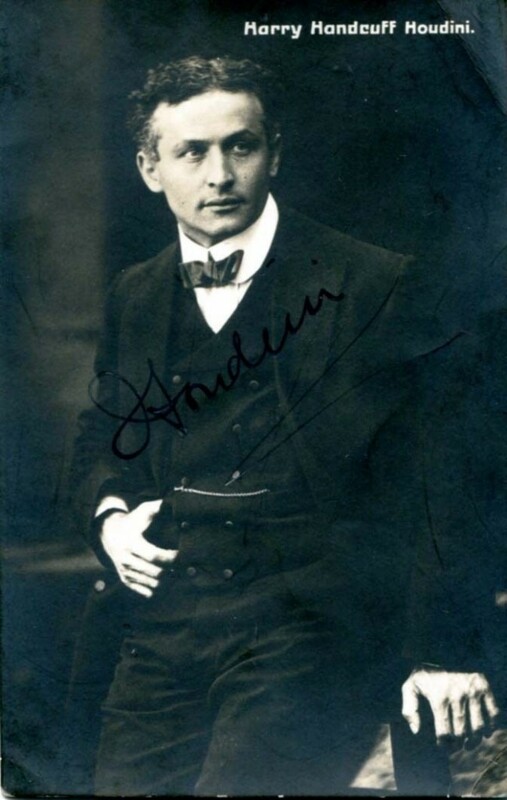 As you might imagine, authentic signed Harry Houdini photographs are popular. Those from the set of one of his escape acts carry a premium over studio-posed photographs. 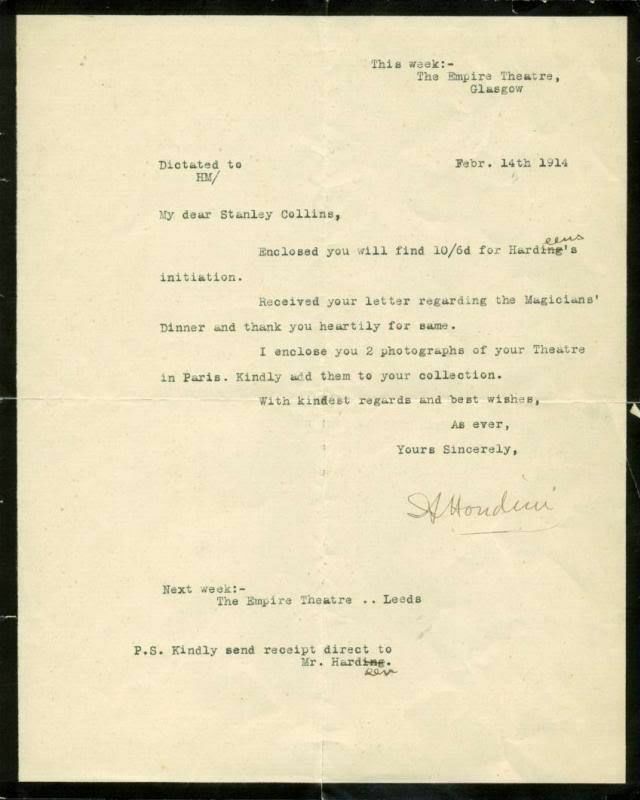 Harry Houdini signed correspondence have the added benefit of featuring not only the magician's autograph but also hand-written content. It gives these pieces some added history and interest. When that content relates to anything from his profession it adds a premium to the piece's value. As would be expected, some of the most valuable pieces of Harry Houdini memorabilia are any items related to one of his escape performances. While the majority of these items exist only in private collections, one item does occasionally find its way to smaller secondary market venues. The keys to Houdini's handcuffs and padlocks were often given to a member of the crowd to hold for safe-keeping during the stunt. Those fortunate enough to be selected were often given these items or they just kept them. Harry Houdini took his craft very seriously. He also served as the president of the American Magic Society. 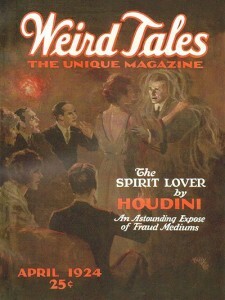 Houdini felt a duty to expose fraudulent performers and often wrote on the subject in various magazines and other periodicals. Copies of his original writings, when found in excellent condition or above, can often sell for four figures and are highly desirable with collectors of magic-themed items. Most all vintage paper collectibles, or ephemera, related to Harry Houdini, carry some sort of collectible value. The items that command a premium, however, are original vintage photographs. While reproductions of original photographs are still collectible, originals are the most sought after. Harry Houdini made for excellent subject matter for artists of the era. Those pieces that have survived the elements of time can be quite collectible. As a collectible, art is a beast unto itself and great care should be exercised when considering the purchase of original Harry Houdini artwork. Even newer paintings can carry a premium as most gallery art does. Speculation on the future value of artwork carries a lot of variables. 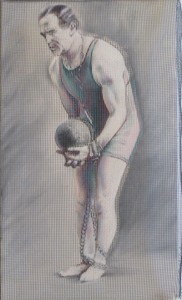 However, because of his popularity, there will always be a demand for paintings of Houdini whether new or old. In addition to magazine and periodical articles, Harry Houdini wrote a few books on his life, the art of magic and his escape stunts. As with all books, first edition copies carry the most value. Condition is also highly important when it comes to collectible books. Two of his most popular books are The Right Way to Do Wrong and A Magician Among the Spirits. Show posters advertising a Harry Houdini performance are very popular. They can be also some of the most difficult Harry Houdini collectibles to find, no matter the condition. As with many vintage collectibles, most people didn't think of keeping them at the time. Those that survived can be worth decent money. Commemorative coins have their own intrinsic collectible value that goes above and beyond the inherent value they carry.. This is often due to their limited production. 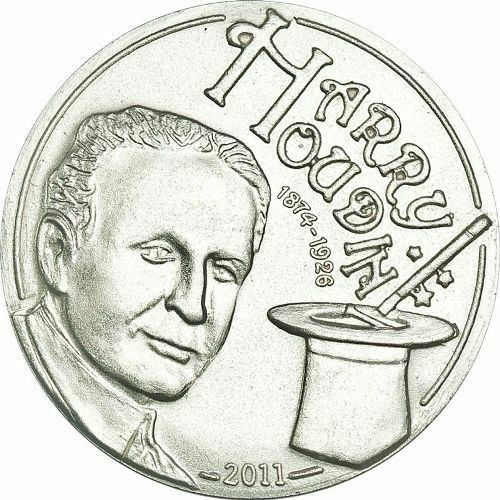 With regards to Houdini coins some of them also double as their own magic trick. They are often made of silver, which as a precious metal, also has a small investment value as well. 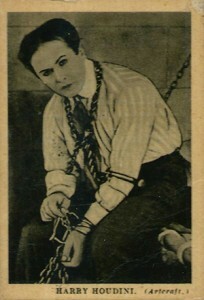 Harry Houdini trading cards have a lot of crossover appeal as they're popular with card collectors as well. The most valuable vintage card is from the 1922 Boy's Cinema set, which can cost hundreds of dollars even when it's not in the best condition. The magician continues to appear in modern sets that center on broader pop culture. These are often much more affordable unless they have a cut signature included. Harry Houdini autographed portrait with COA,vintage play bill "Parsons Theatre"
Harry Houdini Oct 6,1924 Signed Vintage 8 x 10 Photo..... Psa Full Letter Coa! !